Located a couple of miles from Houston and well within the limits of the sprawling Houston-The Woodlands-Sugar Land metropolitan area, Katy is a city that offers a well-balanced mix of big-city amenities in a small town atmosphere. From a city that used to be all rice fields, Katy underwent a major transformation, making it one of the best places to live in the Greater Houston area. Top-performing and competitive schools, a fine set of housing options, and a vibrant business community are some of the city’s biggest draws that keep reeling home buyers in. Katy covers a total land area of approximately 10.7 square miles. As of 2014 estimates, the city is home to roughly 15,600 residents. Major thoroughfares, including I10 and Westpark Tollway can be conveniently accessed from the city. 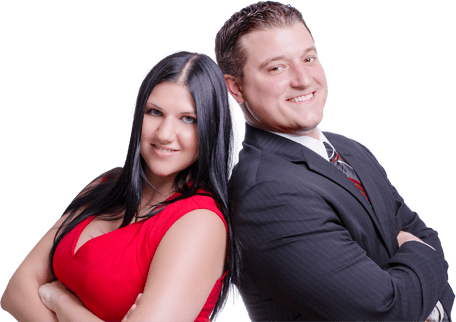 Katy offers a great selection of real estate options for just about everyone, regardless of lifestyle and budget. 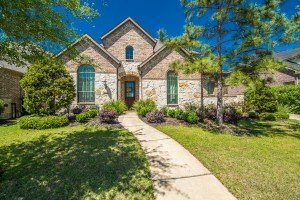 From comfortable single-family homes to well-appointed townhouses, you’ll find the home of your dreams in Katy with the help of the best real estate agent in the area. Take your pick among Katy’s fine roster of master-planned communities scattered all over the city. Most of these established neighborhoods boast safe environs and access to the best educational opportunities in Katy. Cinco Ranch, located outside Katy proper but well within the city limits, is inarguably one of the most sought-after neighborhoods in the city. Other notable communities in the area include Cross Creek Ranch, Firethorne, Falcon Ranch, Seven Meadows, Woodcreek Reserve, and Nottingham Country. School-aged children living in Katy are zoned to academic institutions managed by Katy Independent School District, one of the highly-rated school districts in the Houston-The Woodlands-Sugar Land metropolitan area. For the school year of 2014-2015, Katy ISD served over 70,000 students. Katy ISD is also recognized by the Texas Education Agency for its outstanding educational programs and more. Katy ISD is one of the biggest school districts in the area, supervising at least 60 schools, with more than 8 high schools. Some of the top-performing high schools in Katy include Morton Ranch, Cinco Ranch, Katy High, Seven Lakes, Taylor High, and Thompkins. There are also several institutions of higher learning in Katy, as the city is served by the Houston Community College System. Katy Heritage Museum – Located within the grounds of the VFW Park at George Bush Drive, Katy Heritage Museum is a 9,600-square foot space dedicated to various exhibits on vintage farming equipment and artifacts. Katy Heritage Museum is a good place to acquaint yourself with the city’s agricultural history. Free to the public, the museum is open every Thursday to Sunday. Katy Veterans Memorial Museum–Open from Monday through Friday, the Katy Veterans Memorial Museum houses various artifacts that tell the story of every foreign conflict that involved the United States. It is located in the VFW Community Building at George Bush Drive. Let’s find your dream home in Katy. To know more about the community and the real estate options available, contact us here.